I thought I'd do a series of threads just to kind of get the feel for the variety of the planes in the game, what people like, what people don't and why they like the ones they like and why they don't like the ones they don't. This first one though, is on the title. Discuss what is the best and/or your favorite plane in the game, and why. Edited by legoboy0401, 07 February 2019 - 03:57 AM. 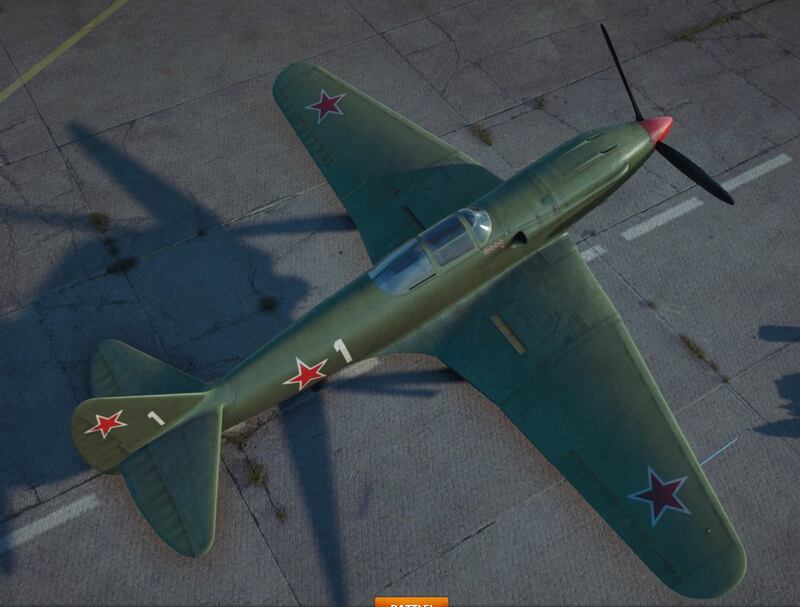 My new favorite is the Me-262HGIII. It just, plain WRECKS it. P-39N-1 just plain fun. I like all the versions of the 39, its one of my favorite army air force planes. There're a couple of reasons why this is my favourite plane but one of the most important is that for a long time a lot of people used to think it was utter crap. The thing about the 190s is that the 190 A-1 is a challenging plane to do well in. It is outclassed in every meaningful metric by the Spitfire I, Bf109E and P-38F so a lot of people just let it fall by the wayside. The A-5 though has one important redeeming characteristic: it has more firepower than even some Heavies of its tier. Quad MG151/20s will shred anything in seconds out to 700m while the airplane's rate of roll means it can keep those guns on target a lot better than any Heavy outside of the Ki-102. The A-5 is also fast. Although its top speed is slightly slower than the Corsair on equal terms, the plane has 5 seconds more boost and excellent horizontal acceleration. Furthermore, Corsair pilots almost always carry ordnance - on the A-5, my shtick is that I don't so I WILL outrun a Corsair so long as I spot it coming in. The 190s rudder authority is great and, combined with its excellent rate of roll means evasive maneuvers are a breeze as long as you know what you're doing. It has its flaws, of course. Poor optimum and rapid engine performance drop-off above optimum make the A-5 a strictly medium altitude fighter. Dive acceleration is atrocious and results in some really funky stall characteristics where you can actually hang motionless in the air for several seconds before your downward momentum becomes noticeable. It also means that you cannot dive away from trouble so if you get into a tight spot you need to NOT try to dive away but level out and hope you have a lot of boost in reserve. Because as soon as you pitch your nose down, they will catch you. The plane also bleeds speed in turns like a severed artery so you cannot sustain a turning battle for long unless you have a lot of boost. B-32. Because of the bombs and the turrets. I am going to second Underpants. The overall capacity and multi-usage abilities of the B-32 make it sincerely one of the best. It's one of the hardest to learn, it certainly requires hours of grinding pilot and gunner skill points and a lot of equipment tweaking to maximize your playstyle with it (there are two valid ones I've found so far).. but.. honestly.. its also the best return for its comparative tier in my view. I personally really like the IL-2 (t) since it's the first GAA that gets some really heavy firepower in the FAB-250s . I also love the IL-8 since it's the soviet GAA that allows for the most versatile gameplay with the six bombs, letting you try all sorts of tactics to get the most out of your available ordnance through different tricks, without just forcing you to do them. Wanna use the six bombs in packs of 3? No problem. Wanna see if you can save up on one bomb by using your 45mm cannons? Go for it! Wanna try mixing rockets and bombs? No problem! You play it how you like (unless you run specialist, where you're stuck with the single-use FAB-250 ). All the Bf-109's ... they're just fun to fly. Spits and Zeros are nice, but not really a challenge. Yak 9, the most fun you can have with your pants on. Sniping one-shots from 1400 m never gets old. If I tell you which planes I like and why you will take that info and nerf that plane. But thanks for the opportunity!!! Probably my favourite so far is I-220 -just glorious T7 with great altitude, great speed, decent agility & massive firepower from 4* 20mm in the nose. And such a nice clean/sleek design. I'm not a dev, I cannot nerf any plane, nor can I influence anyone with the Devs to nerf(or buff, for that matter) any plane. When I upload my "Official Thread: What is in your opinion the worst and/or your most hated plane in the game and why? ", it will have nothing to do with buffing any such planes either. I just want to know what people like(this thread) and what people don't like(the above thread that I will be uploading soon), and their respective reasons for both, so I know what I might like and what I might want to avoid. Before the patch, everyone would say Pancake, and Pancake got nerfed. Now which plane has the highest vote? But it wasn't mere forum posts that made WG nerf the Pancake(too much, I might add), it was the fact that it was legitimately overperforming and not fun to play against. Relax, WG does not nerf planes just because people mention doing well in them, or liking them because they are strong. They have to check stats(WR, among other things, but also average damage, average kills, and the like) before they can even THINK about nerfing a plane.